Filet crochet is all about having filled spaces and empty spaces. 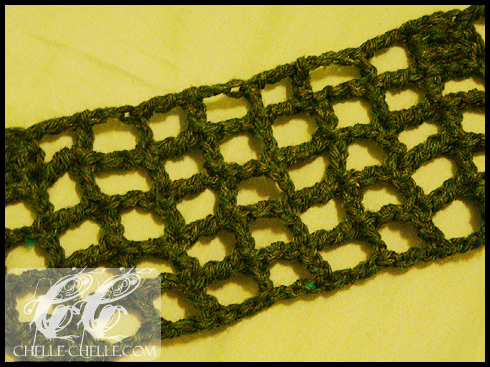 You accomplish this with double crochet stitches and chains. You can ‘draw’ with your empty and filled spaces, a lot like piecing together tiles of different colours – only you use yarn and your imagination. 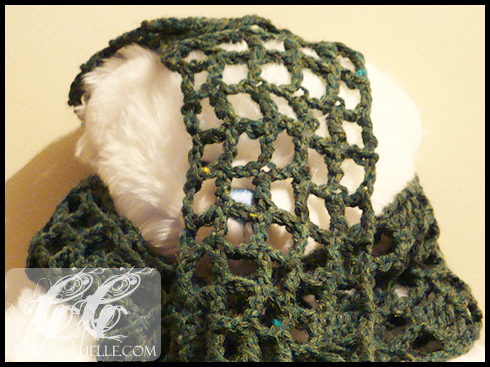 A Little Filet Crochet Scarf is a scarf that I designed and made for my friend’s birthday gift. I had the yarn, I had the time and I had a hook. All I needed was an idea. So while I was flipping through a stitch dictionary that I have, I came across filet crochet. I’ve done a few small projects with filet crochet and love it. It’s easy to get the hang of, once you understand the concept, and it can go by pretty quickly (if time is an issue), plus it’s fun to make a pattern with your squares. The pattern is written up as a one-size-only scarf, but you can easily add on more repeats to lengthen the scarf to your liking. Want to make your own scarf? 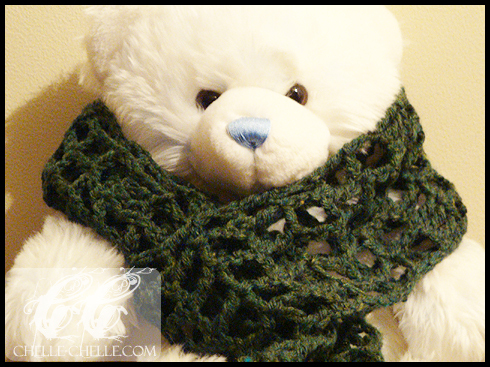 Click to download a PDF copy of the A Little Filet Crochet Scarf pattern.